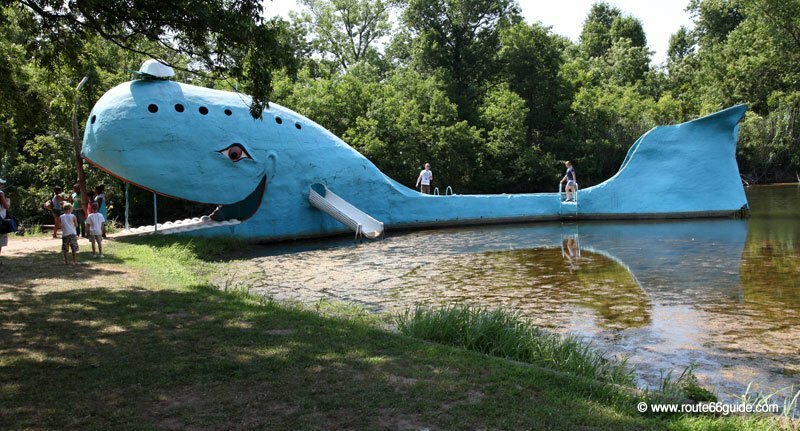 Above: The Blue Whale of Catoosa in Oklahoma. Since the hit movie "Cars" - a must see before you go, regardless of your age - there is no longer need to fake it to get your children all excited about the Route .... a dusty one if any! How exciting to follow in the footsteps of Martin at the snack "4 Women on the Route" in Galena, Kansas, or of beautiful Sally in the Rock Cafe of Stroud, Oklahoma. 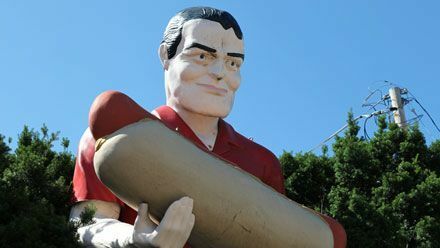 So, do they recognize the buildings and scenery that inspired the film (find them scattered everywhere along the road, in several states)? Do they understand the dramatic human and economic implications of the Interstate bypass - so neatly told in this excellent animated film? To follow in the footsteps of the people and places that really inspired the film, check out our "Cars" section. 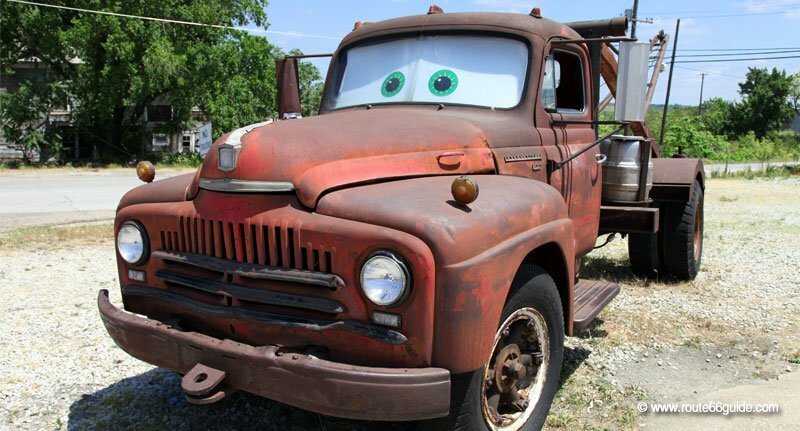 Above: Tow Mater in Galena, Kansas. 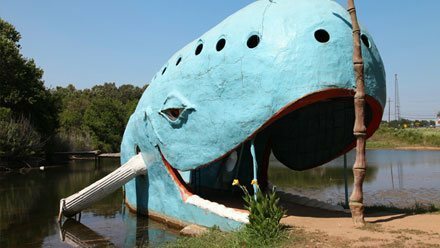 As you prepare your cases and try to put together a compelling sightseeing plan (an old restaurant in ruins is more interesting if we know that it was the biggest "road restaurant" worldwide at the time! ), try to engage your children and teens in a little game. For example, ask them to spot by themselves all "ghost signs" and ruins of motels, restaurants, etc. Suggest taking pictures and / or guiding the whole family with a map. In short, get them involved! 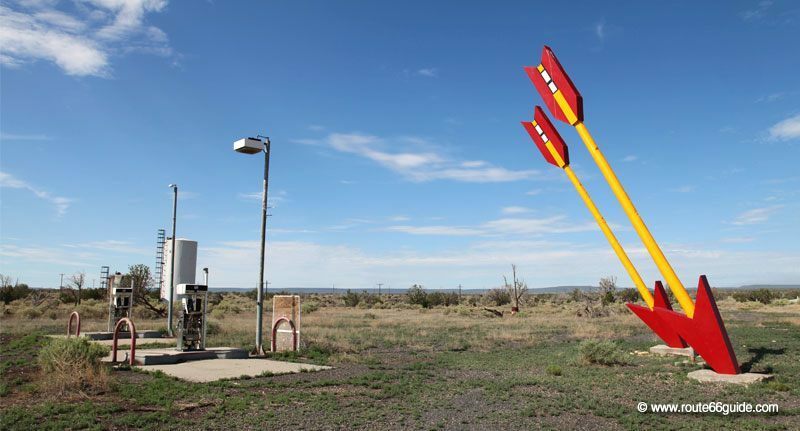 Many motels near Route 66 as well as hotels chains located near the Interstate have family rooms to accommodate several people and / or adjoining rooms. Check if the hot breakfast buffet - mostly cold - is included. Motels rates start around $30 (see "Accommodation, motels and hotels"). 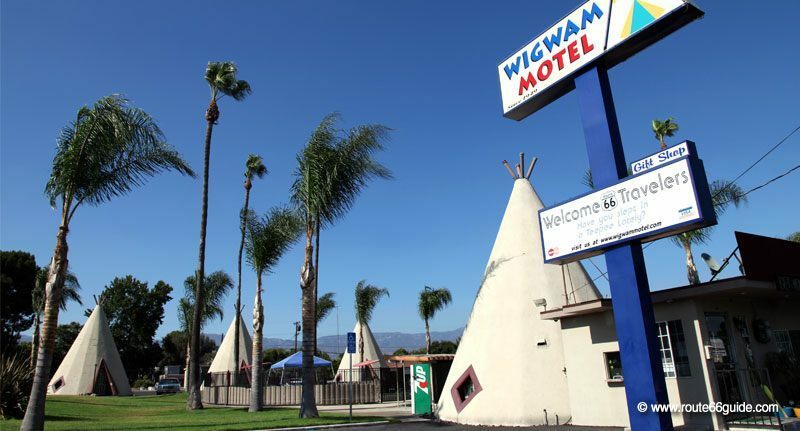 Above: WigWam motel in Rialto, California. These days, many families prefer to travel in a motorhome / RV. Even if the rental price may seem rather high at first, you quickly get your money's worth with the kitchenette, designed to cook inexpensive supermarket food, but also as you comfortably drive by all Hotel signs without remorse. Attention: Don't park your RV anywhere but look for the parking lots provided to that end. 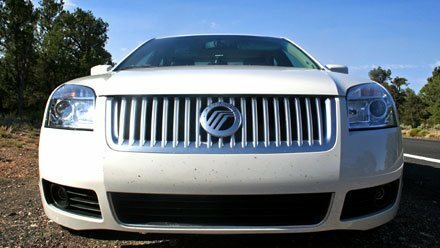 RV parking lots can be expensive in tourist regions. 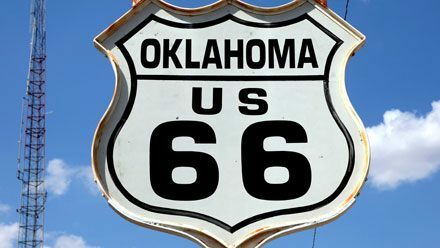 Did you know that Oklahoma should not have been on Route 66? If we draw a straight line from Chicago to Los Angeles, it is plain to see that the State of Oklahoma is blatantly off track. 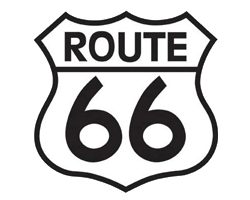 In fact, this detour was introduced by the Father of Route 66, Cyrus Avery, an entrepreneur from Oklahoma (not surprisingly) who made his fortune in oil and was commissioned by the federal government to oversee the new road map of the United States in 1926. The latter did not hesitate to lead the transcontinental route through his native region, wisely anticipating the huge economic benefits the Route will generate in its wake.